I am a huge advocate of solo travel because the connections you make with people on the road are the most memorable part of travel. But, I also don’t want to sugar coat anything. Solo travel is not easy. You will have the highest highs and the lowest lows during your trip. Why? You will have to put yourself in a slightly uncomfortable position in order to meet people, but going out of your comfort zone leads to great reward. Your experiences will be heightened because you are vulnerable. On the flip side, solo travel can be lonely and challenging. You are the only one responsible for you, and it can be tiring to always be the one watching out for yourself. Plus, you won’t always meet people and hit it off. There will be solo meals and solo sightseeing days where your mind gets a little too much time to itself to think. But with that said, every best memory I have had traveling is from a solo adventure. After three months on my own, plus many other solo trips prior, these are the most practical tools I use to meet travelers abroad. 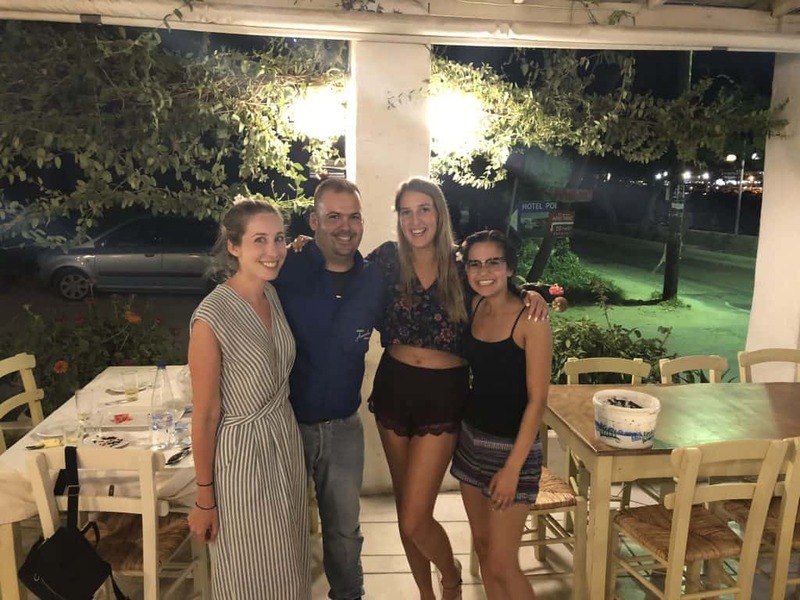 I met these girls at a hostel in Paros, Greece. They were in my 4-bed female dorm and were there the entire duration of my time in Paros. We had one of the most memorable dinners of our lives at this restaurant. Most of the groups that I write in are more female-centric, but there are tons of groups out there both broad in scope and also specific to the region that you will be visiting. Some of my favorite groups are Girls vs Globe, Traveling in Europe, Travelettes, and Girls LOVE Travel. All the fabulous women I met at a hostel in Paros, Greece over the summer. We had two Australians, two Canadians, a South African, and an American in this crew. It doesn’t matter if you are traveling solo or not, one of the best things to do in any city is a free walking tour. 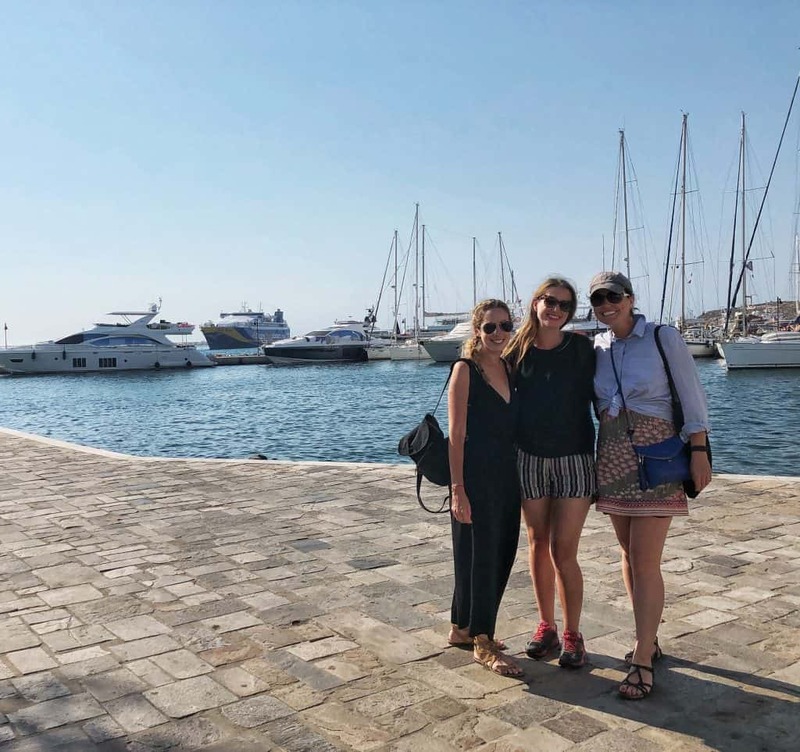 I have done many free tours in all of my travels and because of the way the business works — tour guides are incentivized to make the tour the best it can be because they get paid by tips at the end of the tour — all have been worthwhile. 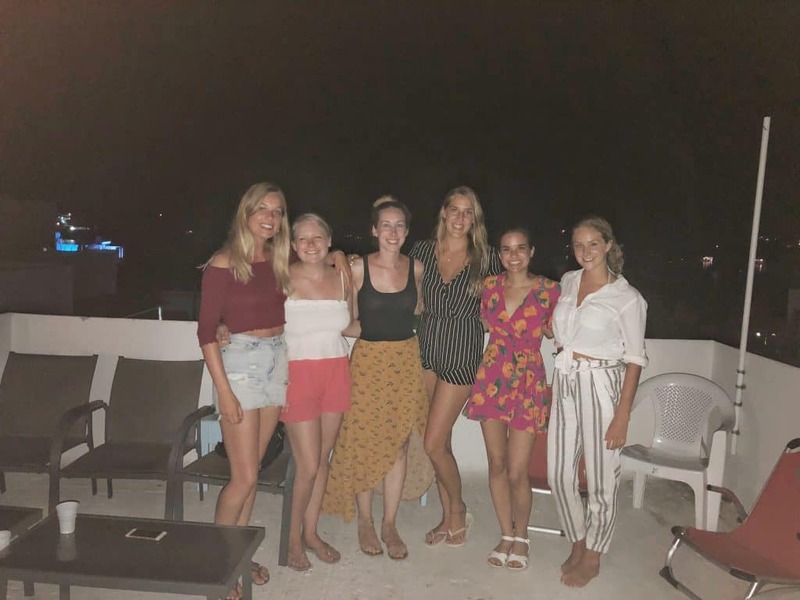 Of course, there is no guarantee, but there is a decent chance that other solo travelers or groups of friends who are happy to meet new people will be taking the same tour as you. Typically, at the beginning of the tour, the guide will do a little ice breaker and ask where everyone is from. If there is a hometown or current city match, people generally go and introduce themselves on the way to the first attraction on the tour. In order to find out the best free walking tour in your destination, either type in “free walking tour ______” into Google or go on TripAdvisor and search for the best free walking tour under “things to do.” Sandeman’s New Europe is a great company to use for free walking in tours in almost all major European cities. Sandemans also hosts community events in different cities where you help to beautify the city by volunteering to pick up litter for an hour, go on a specialized city tour, and drink a beer with fellow participants. 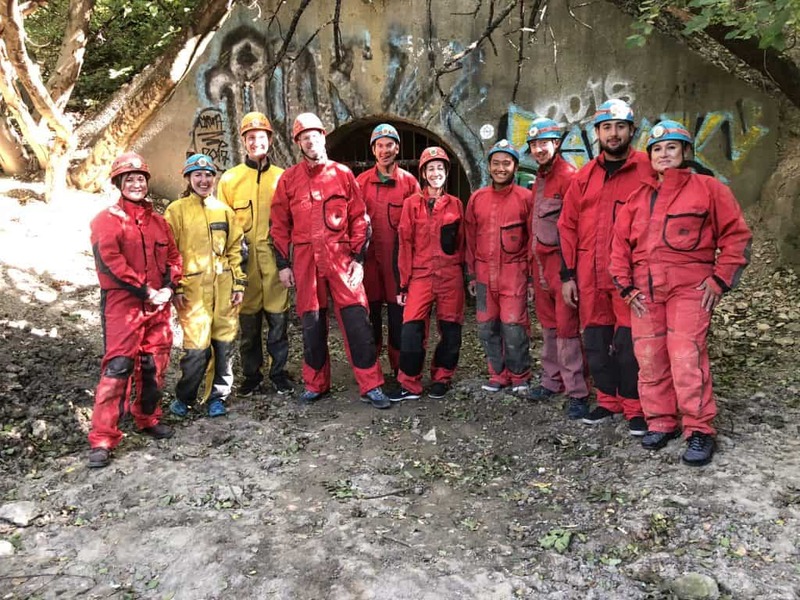 This was my tour group during my Caving Under Budapest excursion. While I didn’t spend time with any of these people after the tour, it was a great way to spend the day surrounded by people. Personally, I don’t feel comfortable using Couchsurfing as a solo female traveler as a way to procure accommodation. Now, I know many others who have and it has been a wonderful experience, but I prefer to pay my way for a little peace of mind; of course, bad things can happen anywhere. That being said, Couchsurfing is not limited to hosting. I learned this from a girl I met through a Facebook group when we met up for coffee in Bilbao, Spain. Download the app, fill out a profile, and if you scroll down on the dashboard, you will find a section titled “Upcoming Events.” Click “Search for Events” and put in the city that you will be visiting. 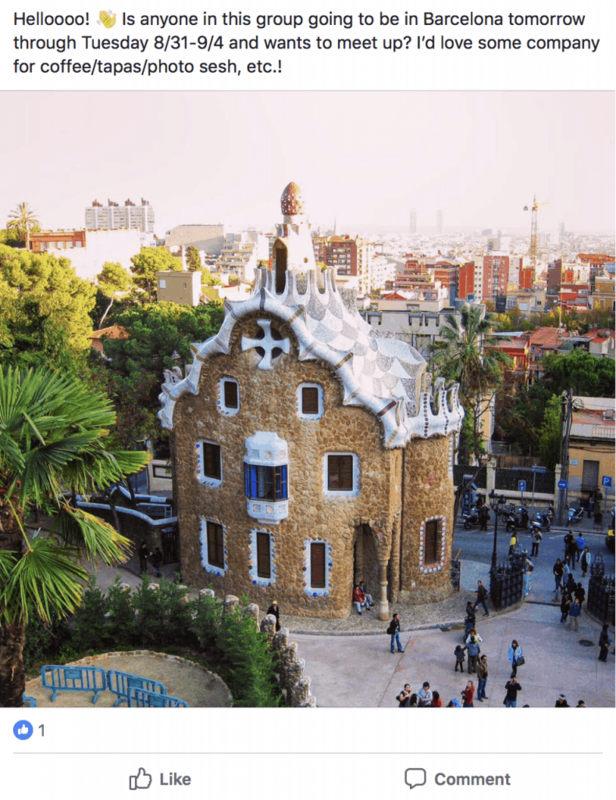 Not only are there weekly Couchsurfing meetings in most major cities, but there are generally events most nights of the week for you to choose from. 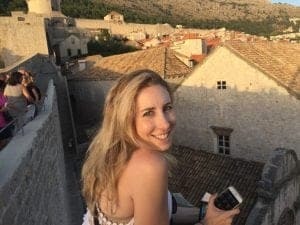 For my fellow solo female travelers out there, do yourself a favor and join the Girl Gone International chapter in the destination that you will visiting. I first discovered Girl Gone International from a girl at a travel networking event in Budapest. She mentioned that it was a global organization and that I should join the Facebook group. There were events multiple times a week and the group of girls were so friendly that I joined the Girl Gone International chapter(s) in Los Angeles — where I live full-time — as well. I met Simbie during a travel networking event the second day I was in Budapest. We became fast friends and ended up spending almost every day together for the whole month that I spent in Budapest. For a more professional resource, you should look into obtaining a membership at Internations or sign up for one of their events. I learned about this organization for the first time during an event with Girls Gone International and was immediately intrigued. While I have yet to attend, I imagine this is best suited for digital nomads or people moving to a city/country for a new job. It could also be useful for people looking to meet new people with similar interests in their current place of residence. You will need to pay to attend events without a membership, but they seem to be great events at a relatively inexpensive pricepoint. This photo was taken by a fellow travel blogger that I met by reaching out on Instagram. 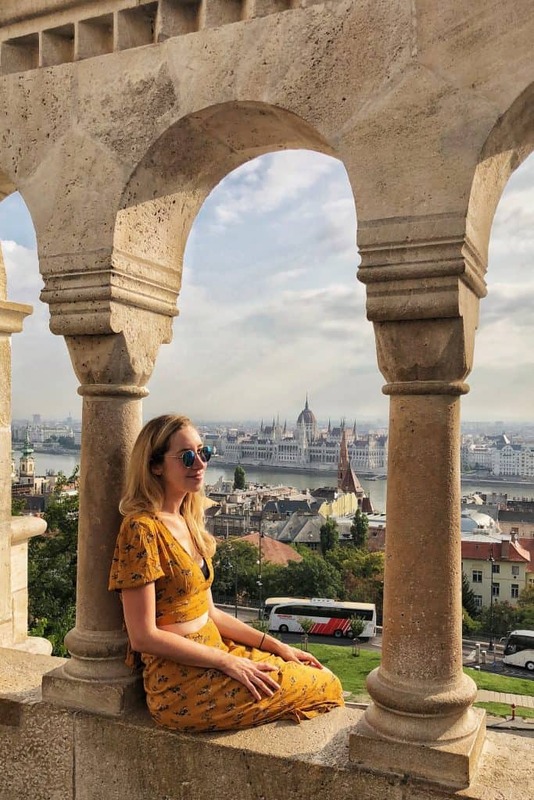 I reached out to her the night before, and the next morning we met bright and early to capture one of the most beautiful viewpoints in all of Budapest. Once I found a viable candidate, I would go to their profile and see if I could determine whether they were solo traveling as well and if they seemed like-minded. If I felt comfortable at this point, I would send that person a DM to see if they would be interested in meeting up in a public space around groups of people. I met Dora while I was sitting on the stairs of the hostel trying to get some WiFi. I was wearing a UCLA shirt for pajamas and she asked if I was from California. Turns out, my cousins are her family friends and we spent the next morning together taking out her dune buggy at sunrise. Finding travel companions through a hostel is by far the easiest way to meet travelers abroad. The key to a successful hostel stay? Check in and plop yourself down in a bean bag chair in the lobby. Chat up everyone that comes through and I can pretty much guarantee you will have a date for dinner that night. In fact, many hostels do a family dinner, some free and some paid. So, while you may want to try the local cuisine for the rest of the time in your destination, participating in family dinner will be great for meeting other people that first night. If you prefer to stay in a different kind of accommodation like Airbnb, apartment, or hotel, there are still many hostels that have bars where you can stop by for drinks and conversation with fellow travelers. 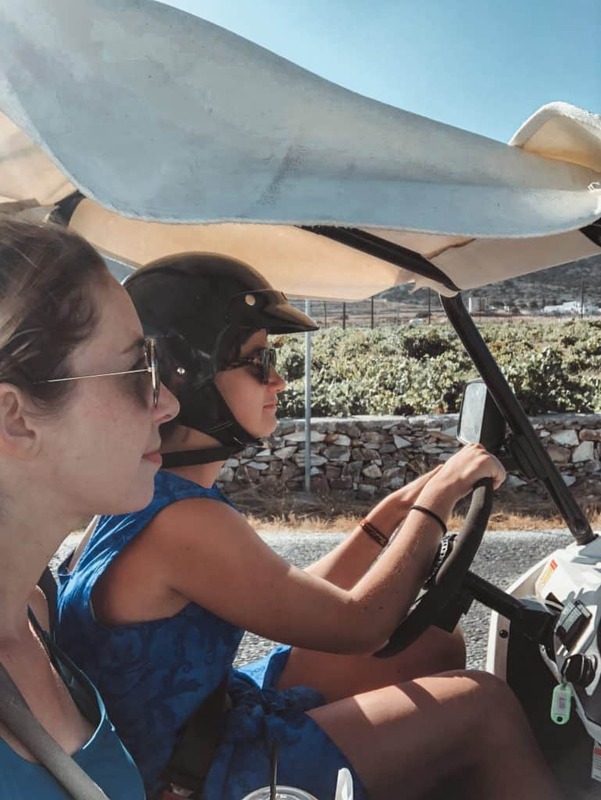 While the above options are my personal favorites when it comes to finding a travel buddy abroad, there are still many more ways to do so. You can sign up for a volunteer program like Workaway or WOOFing, or choose a guided tour with companies like Intrepid Travel, G Adventures, and Contiki. And although some of these ways to meet travelers are more intuitive than others, you just never know who you may stumble upon during your travels! 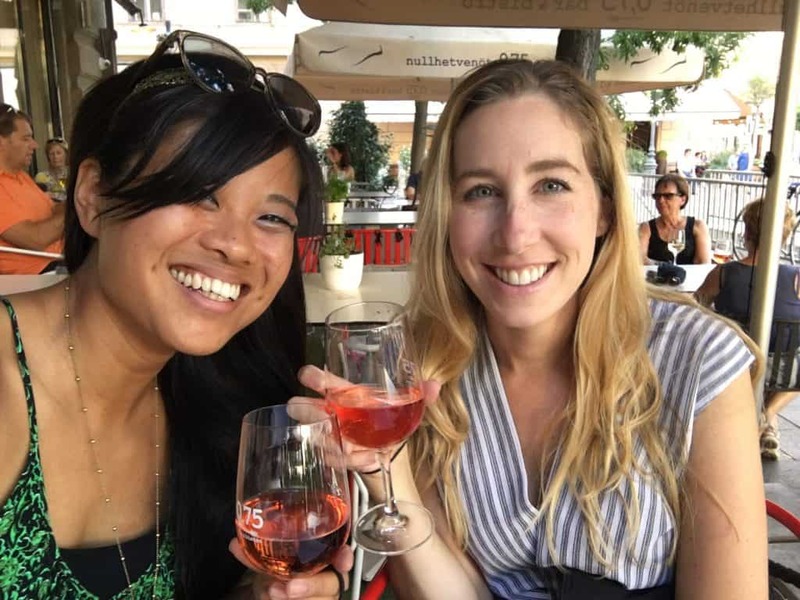 I was sitting by a canal in Venice, Italy eating a baguette and brie while drinking wine and decided to go up and talk to a couple of girls sitting nearby. I ended up hitting it off with two of the girls and we traveled to Florence together after. How do you meet people abroad? Let us know in the comments!